Marky's Osetra Karat Caviar 'Malossol' Solid Black Color, Israel. 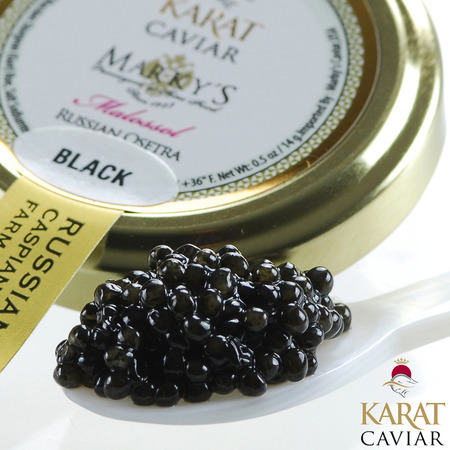 Marky's has become the sole and exclusive importer of Karat Caviar, a 100% Pure Russian Osetra Caviar 'Malossol' produced in Israel. Branded under the Karat label, these fresh Osetra eggs are being graded based on color, firmness, size and taste.